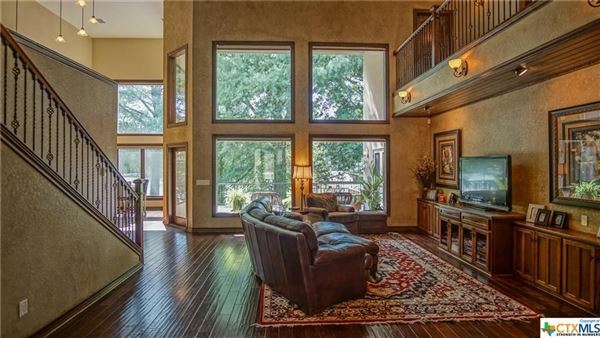 Luxurious Lake McQueeney home. 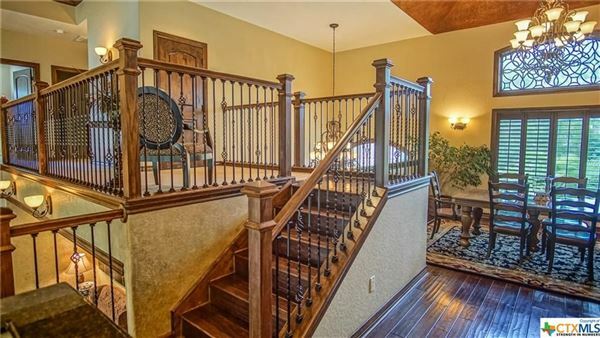 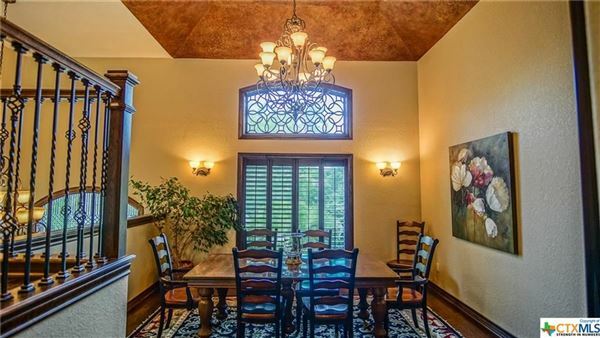 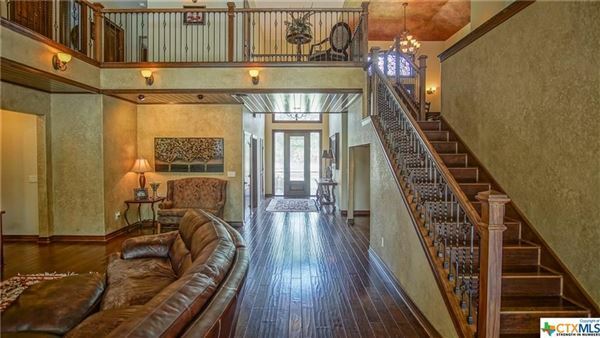 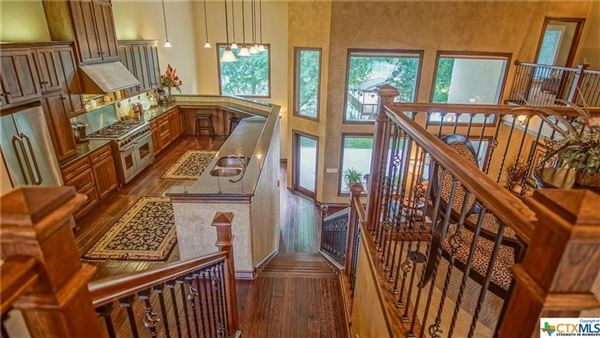 Soaring ceilings in entry and main level (above street level). 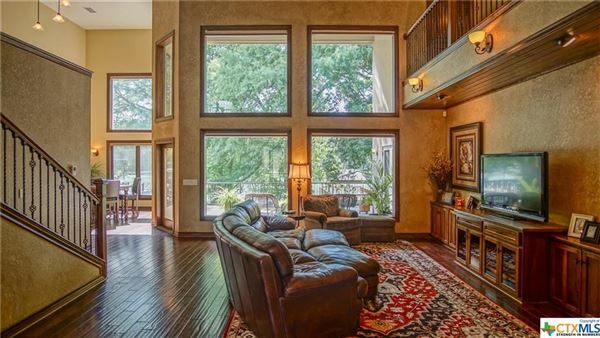 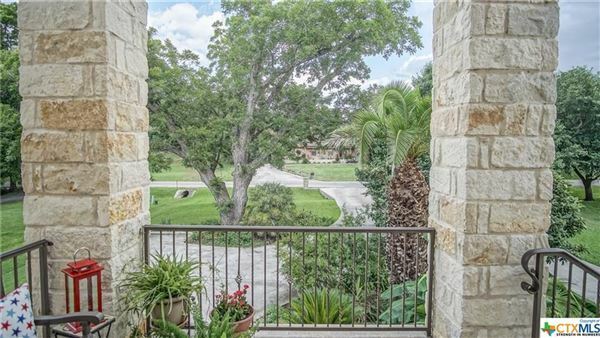 Large windows afford gorgeous views from multiple rooms. 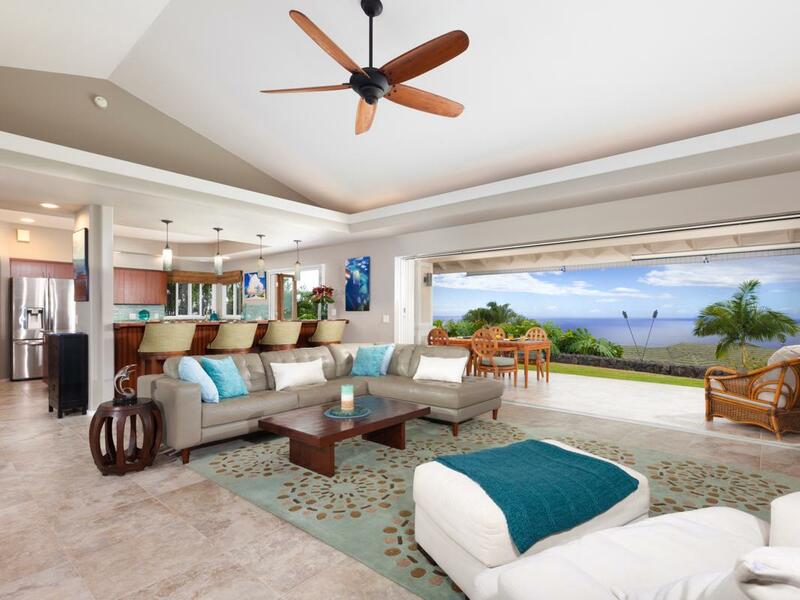 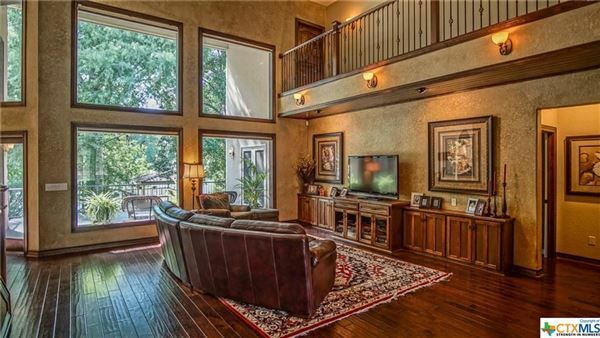 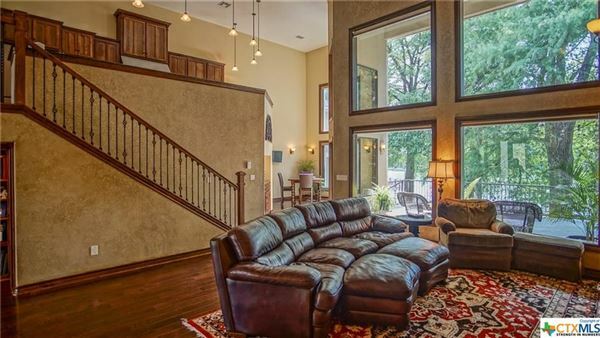 Living room has custom window shades with convenient remote operation for open/close. 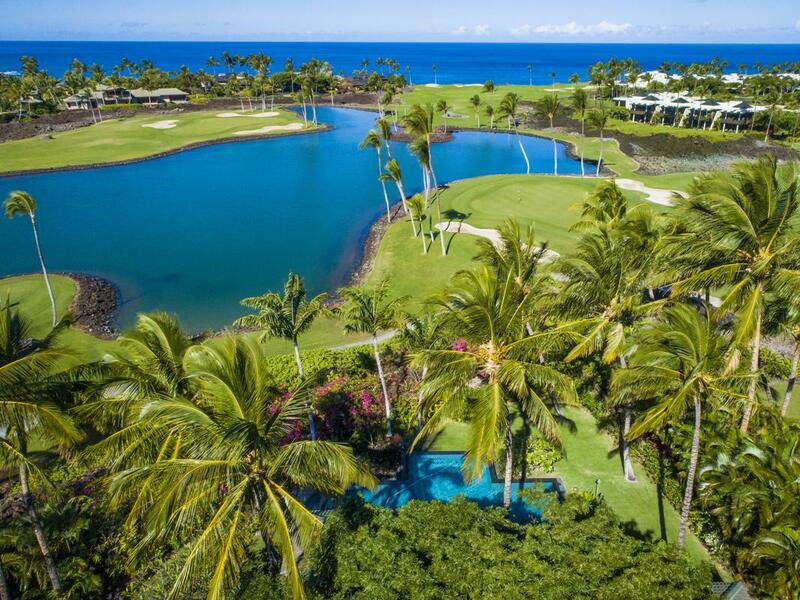 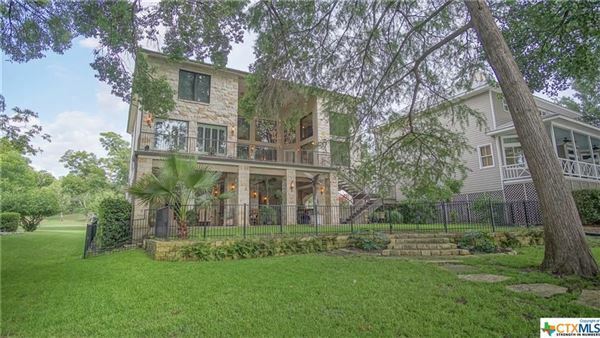 Towering cypress trees shade the lush landscaped yard. 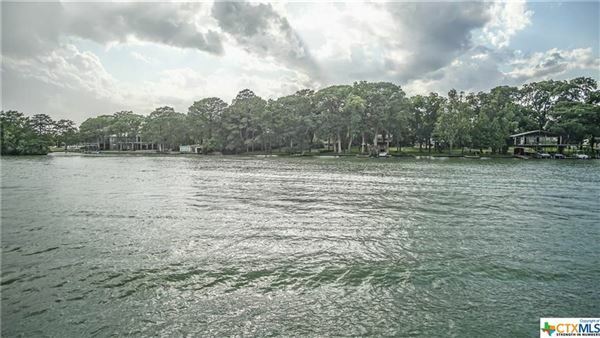 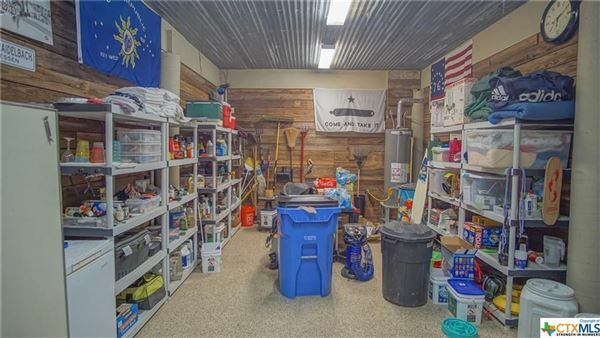 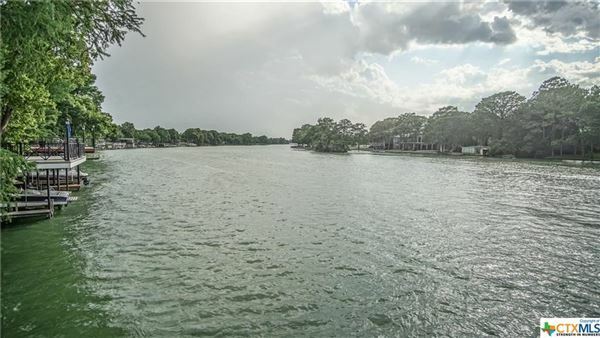 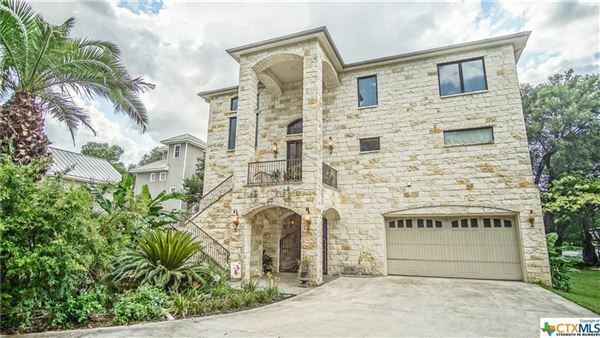 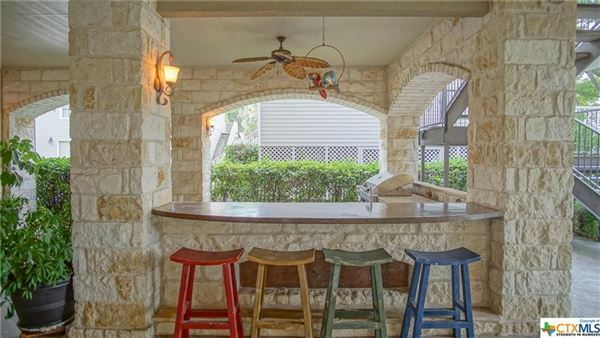 Street/lake level includes outdoor entertaining area, outdoor kitchen with ice maker and bar seating, dining and seating options and huge storage areas in addition to the garage. 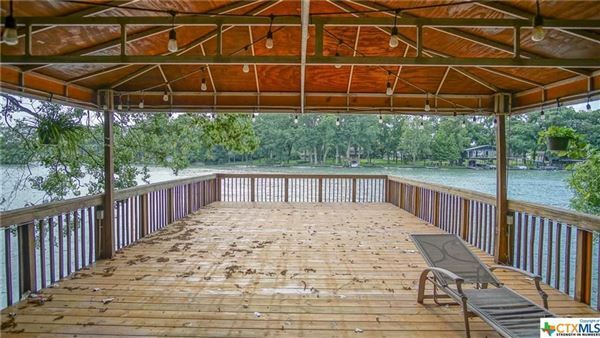 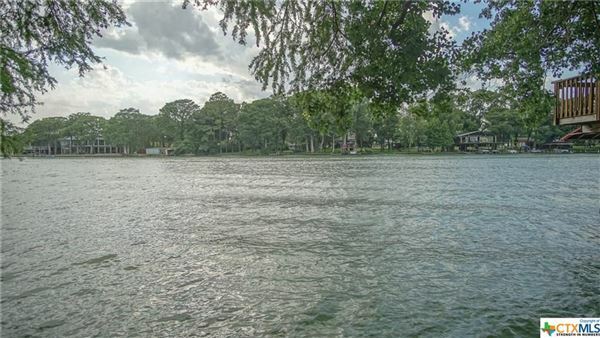 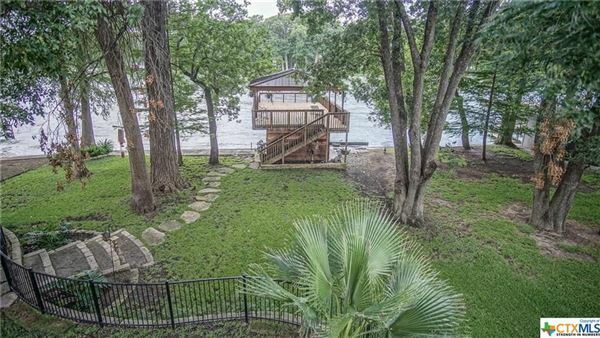 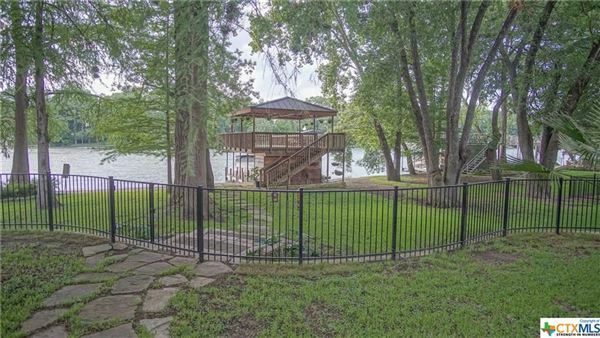 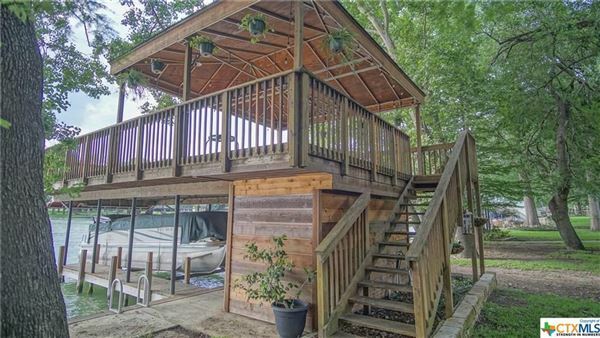 Boathouse with partial covered deck affords relaxing views of Lake McQueeney. 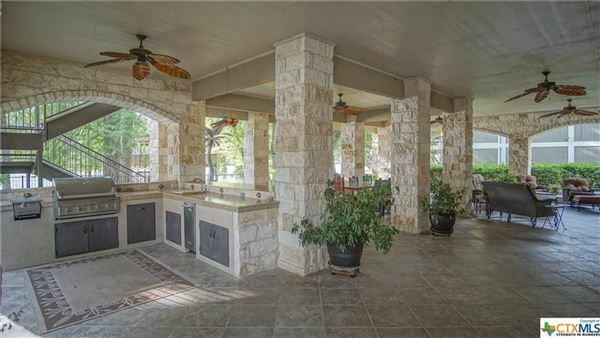 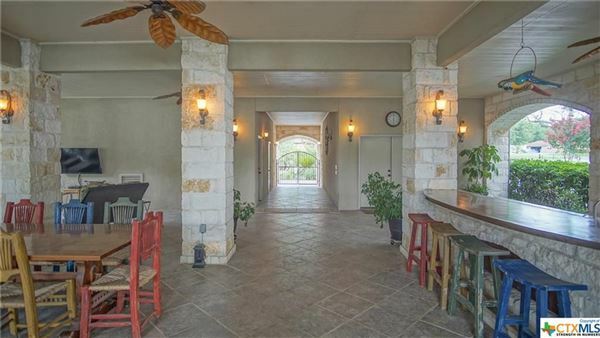 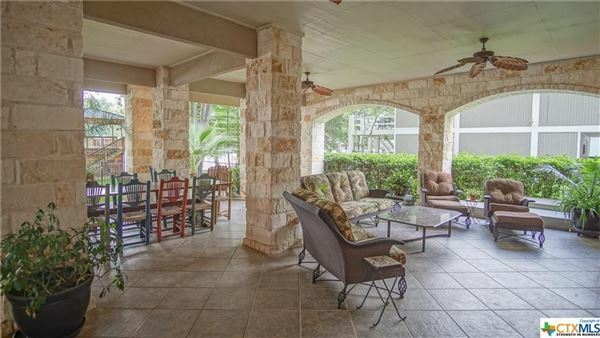 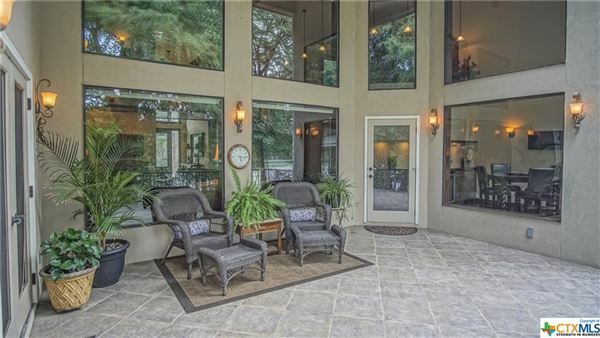 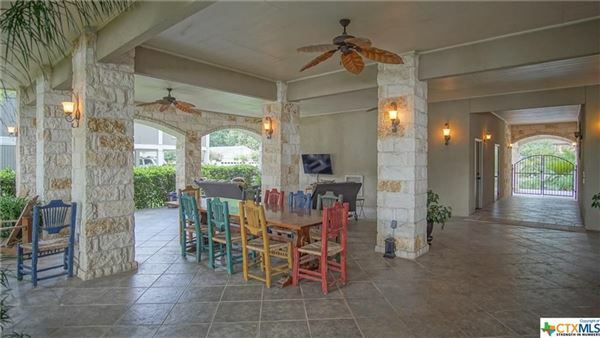 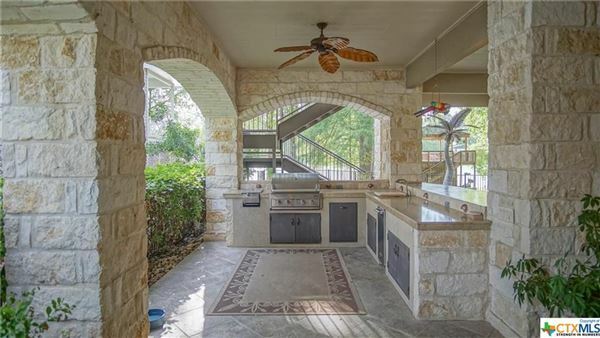 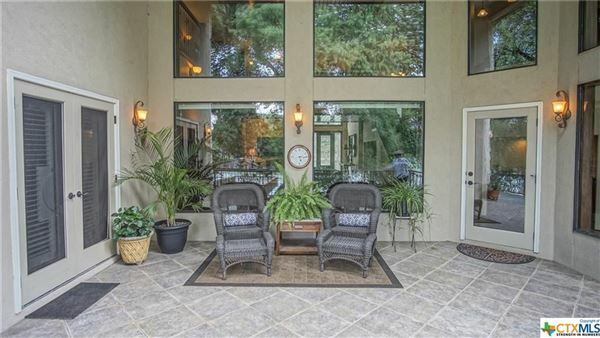 Main level has outside access to covered patio from both living and master bedroom. 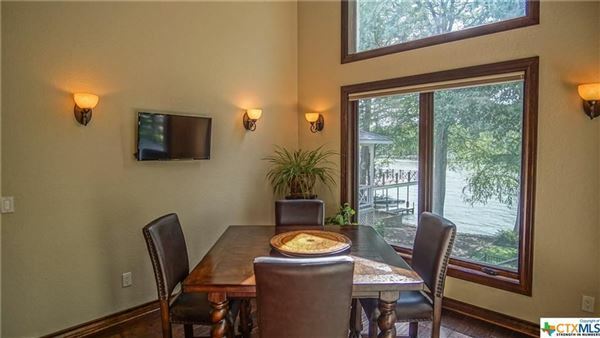 Sip cocktails or play games in the "extra" room off the living area with its own views of the lake. 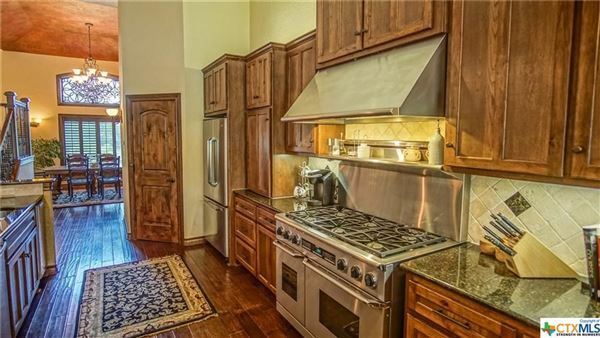 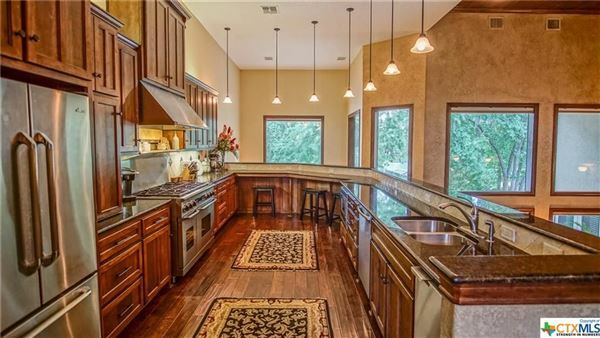 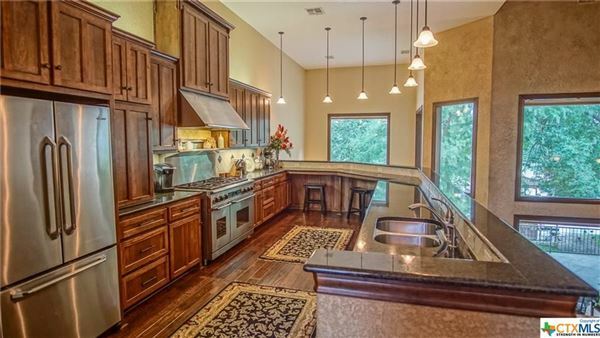 Kitchen features 6 burner DACOR range with double ovens and DACOR refrigerator, separate ice machine, loads of counter space and bar seating. 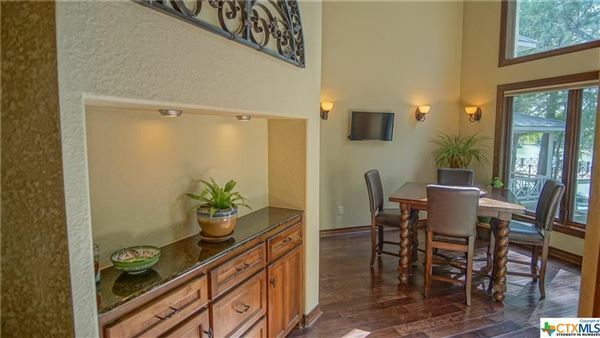 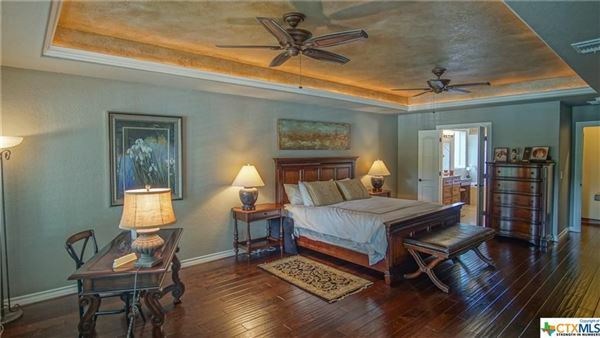 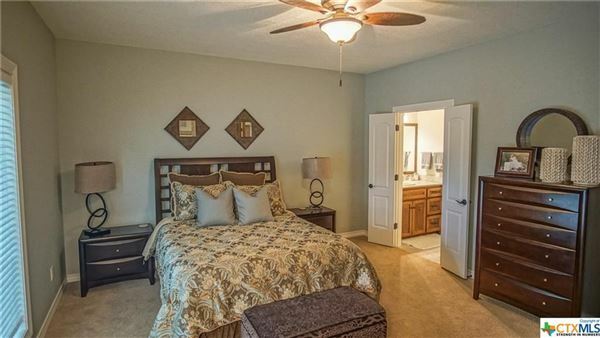 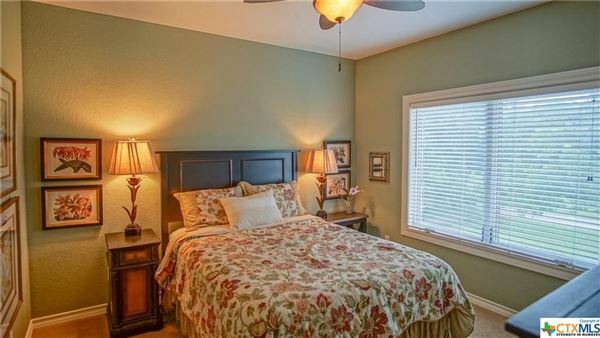 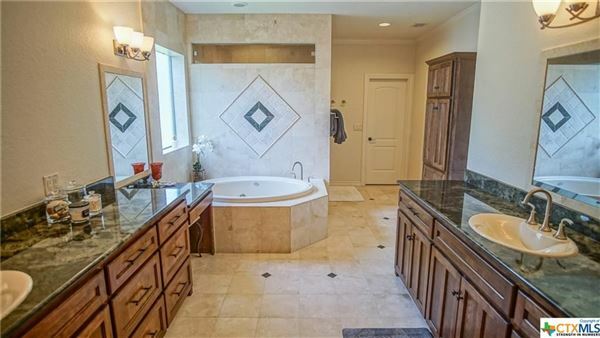 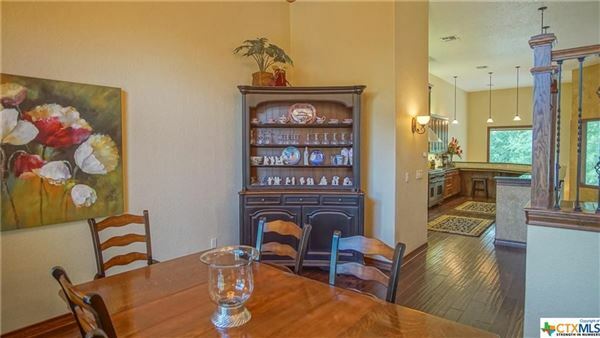 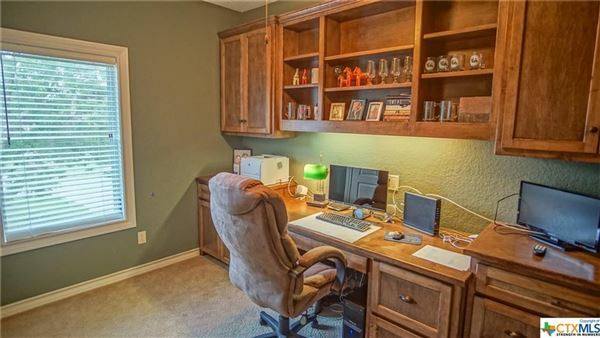 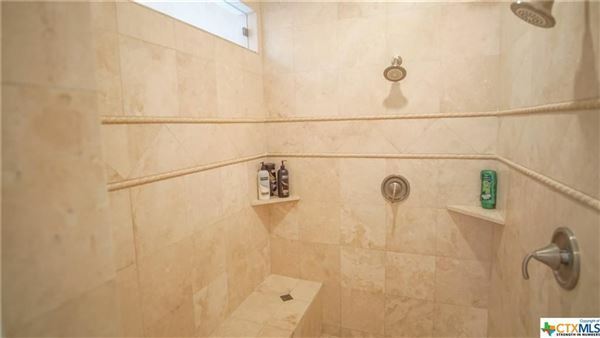 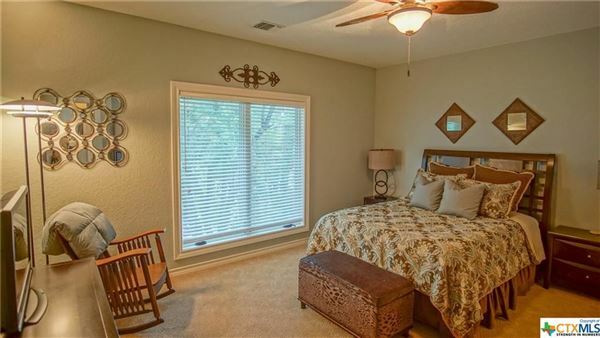 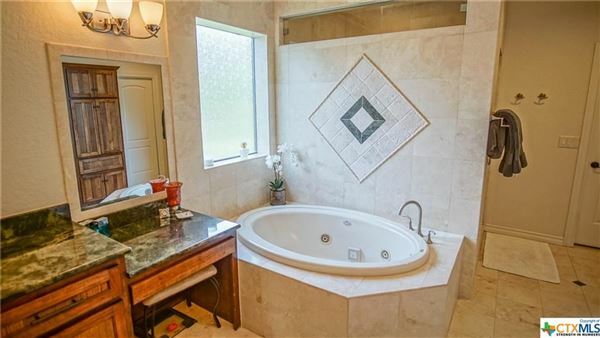 Master room features 2 walk-in closets ("hers" is 9x12), wood blinds, double vanities, Jacuzzi garden tub, oversized shower. 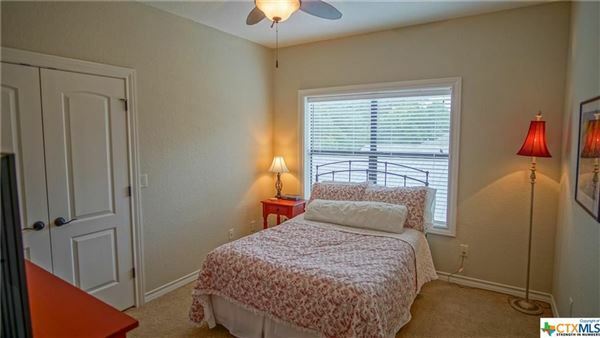 Bedrooms 3 & 4 share a Jack & Jill bath, bedroom two has private bath. 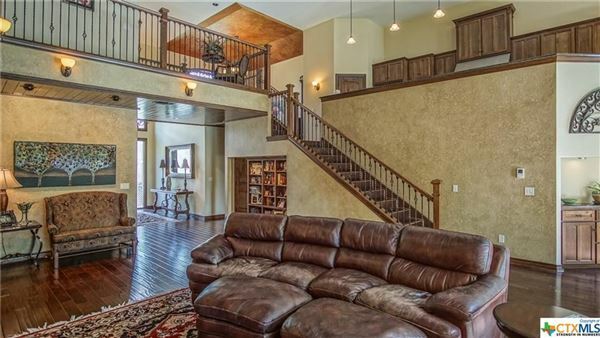 Original construction included an elevator shaft from street level to main level.